J. Alex Heroy « James McElroy & Diehl, P.A. 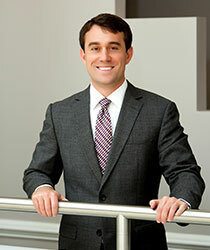 Alex Heroy focuses his practice on civil litigation of all types, with a concentration on complex personal injury, non-traditional medical malpractice, and business disputes. For more than 10 years, he has been dedicated to helping individuals and their families obtain fair and just compensation. Alex continues to build upon his more than $25 million in settlements and jury verdicts for his clients, often defeating big-name corporations and other influential defendants. Alex clerked for the Honorable Wallace Dixon, United States District Court Magistrate Judge for the Middle District of North Carolina, during the Spring of 2009. Conversational in Italian and fluent in Spanish, Alex has lived in Milan, Italy, where he taught English to businesses and corporations, small classes, and individuals. After more than 35 years of practicing family law, Katie Holliday now limits her practice to family law cases that either utilize a Collaborative Family Law process or cases that can be resolved through informal settlement negotiations or mediation.